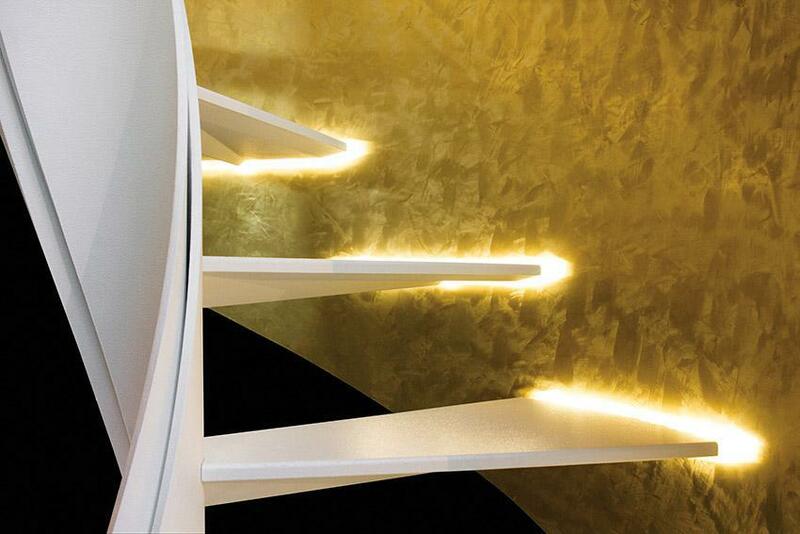 Decorative, functional, charmant. 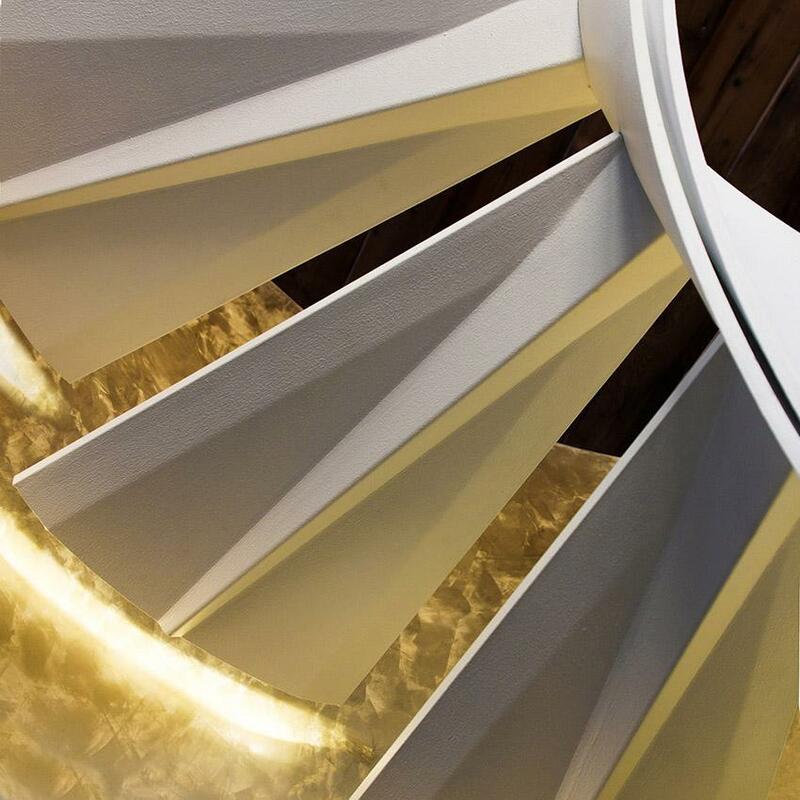 Scaloro, the new helical staircase Rizzi, brings strongly to the fore the ornamental appearance of staircase within the architectural space. 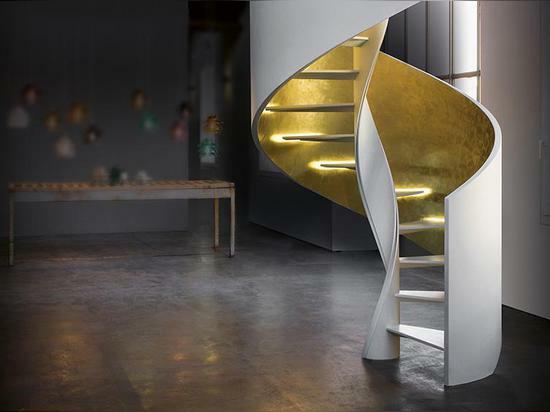 The staircase is no longer a service accessory but a real piece of furniture, a protagonist structure capable of characterizing the living. 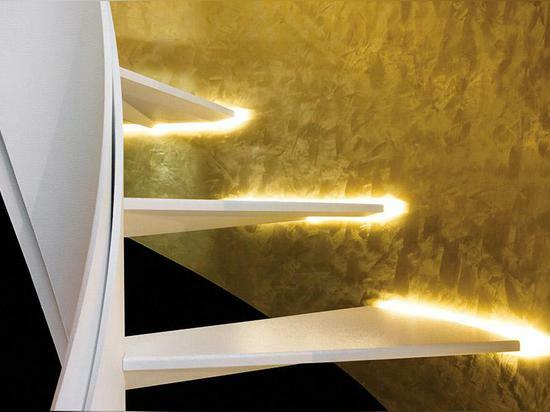 In Scaloro, the flowing band of the parapet unrolls upward regardless of the central spiral which, thanks to its light structure, exceeds the heaviness of gravity. 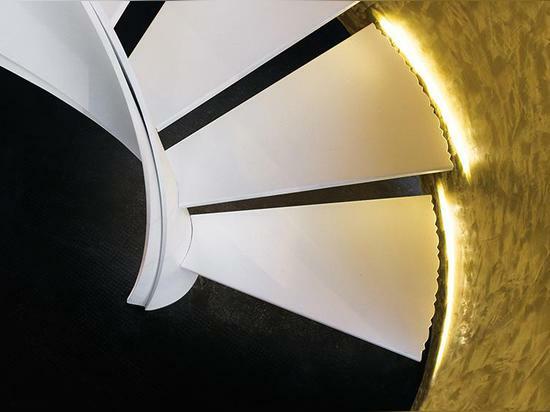 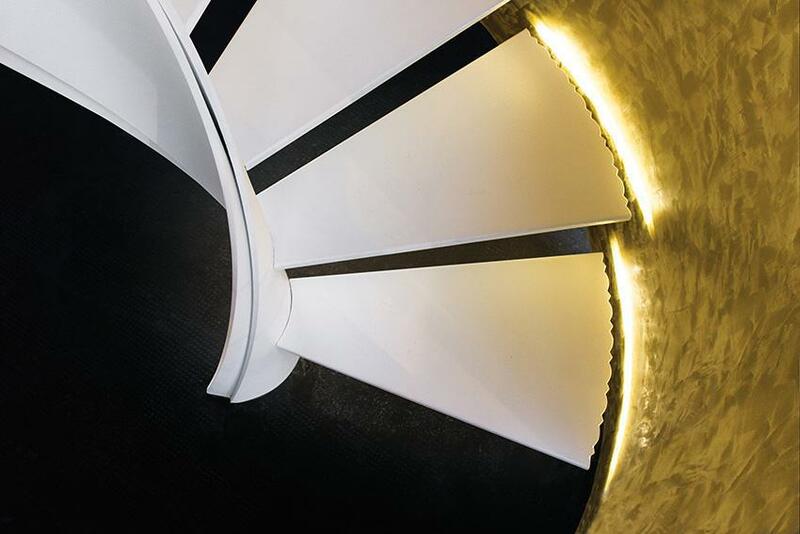 The central helical core has both structural and wiring functions for the cantilever steps containing lighting; the parapet is detached from the staircase by helping the diffusion of the light that marks the pace and enhances the lightness of staircase. 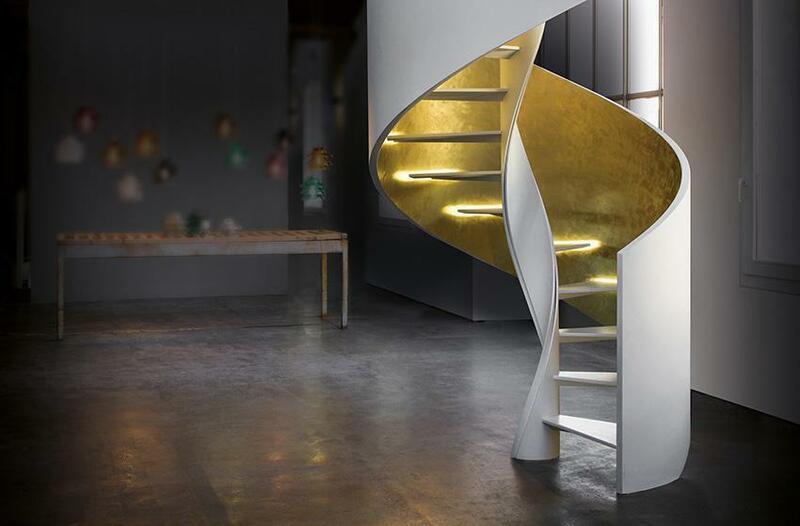 Scaloro is the synthesis of Rizzi Scale where high-level industrial technologies are combined with craftsmanship: the steel laser-cut, bent and welded for the steps approaches the artfully curved stratified wood for the parapet, the industrial paintings blend themselves to craftsmanship finishes. 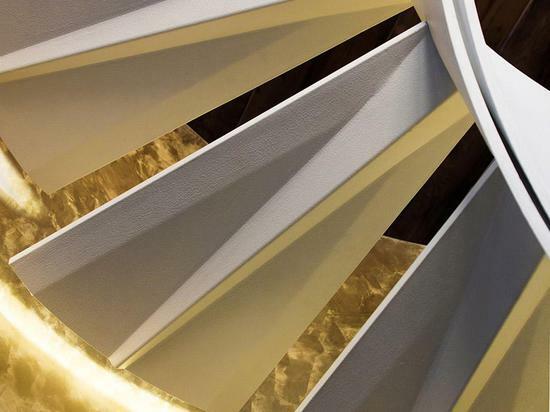 Just artisan component makes Scaloro as an absolutely customizable product. 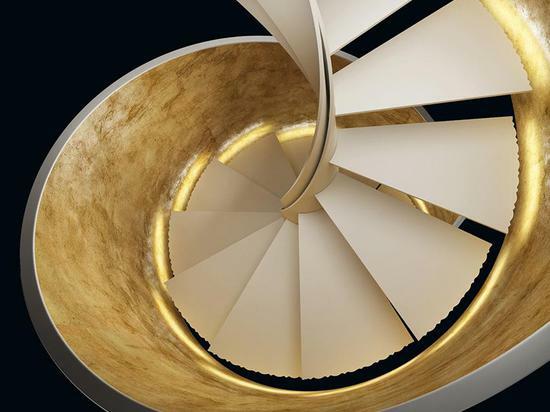 In fact there are different elements composing the staicase that can be choosen according to the tastes and demands of the customer: the cutting of the step edge to see against the light, the color of the staircase and the internal and external finishing of the parapet. 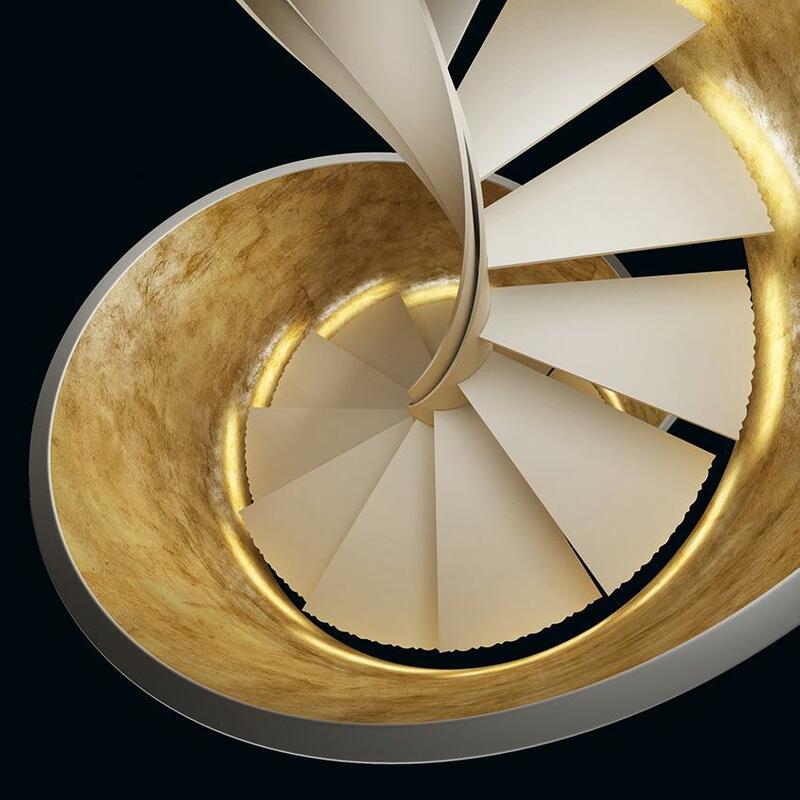 As for all the helical Rizzi stairs, as a guarantee of quality, precision and easy assembly, Scaloro is pre-assembled in the company before being delivered to the customer.